The scale of the chart is tight, so the broader conclusion is that we’re all generally satisfied (but not thrilled) with our lives. But there’s a clear pattern. 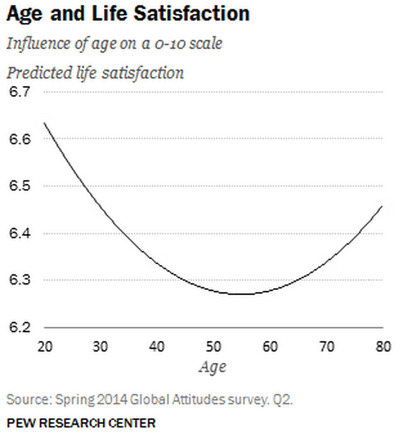 20-year-olds are relatively disgruntled about things. Then life gets better until age 55. Then, by the time we’re 80, we’re getting pretty crotchety again.